By Bill Randolph, Director, City Futures Research Centre. Originally published in New Planner. 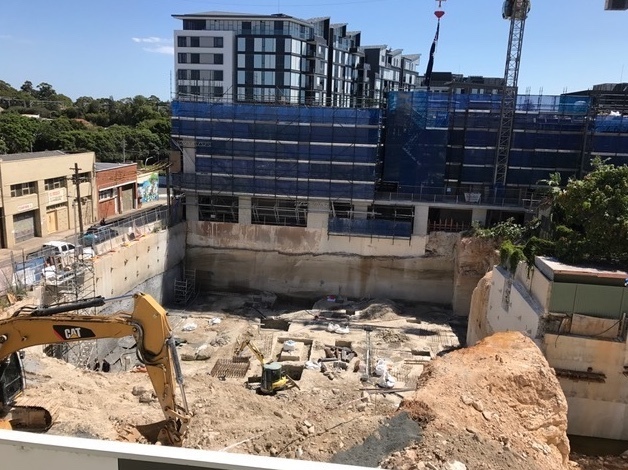 The recent inclusion of Inclusionary Zoning (IZ) in the draft District Pans for Metropolitan Sydney marks a turning point in the debates – and hopefully the policies – on the possibility of accessing some of the value generated by property development to generate new affordable housing in New South Wales. Already several Sydney councils have or are actively considering adopting firm IZ targets for affordable housing in their new local planning arrangements. The Inner West Council’s draft Affordable Housing Policy, released in early December 2016, includes a well-argued 15 – 30% IZ target for new residential development[i]. This beats the draft District Plans proposed 5 – 10% IZ target range by some margin. IZ is, in reality, just another form of value capture – or ‘value sharing’, as the more sanitised version of the process is now being termed. The requirement for a developer to factor in a proportion of a new development as affordable housing (i.e. priced at below market) is simply another way of saying that part of the value gain achieved through rezoning should be used to support lower cost housing outcomes. Developers have been fully attuned to the process of value uplift for decades, of course. The stroke of a pen from a publically accountable planning authority can result in an immediate substantial private gain by any land owner able to effect the change though a spot rezoning or simply by being in the right place at the right time. As a result, a remorseless process of up-zoning is reconfiguring our urban space and, in the process, creating substantial value. In addition, major new pubic investment in infrastructure can also generate substantial financial benefit for land owners through better accessibility and amenity. The question obviously arises is a simple one: given that this value is created by the decision of a publically accountable planning authority or from public investment, then shouldn’t some of that value accrue to the public purse? Of course, value sharing in one form or another has been around for many years – land taxes and rates, Section 149 contributions, special development levies and voluntary planning agreements are all forms of value sharing. However, the emergence of IZ for affordable housing as a further possible value sharing component raises additional issues. Not surprisingly, development industry lobby groups have rapidly hit back claiming that IZ will impact on housing costs and supply. But they are willing to negotiate. ‘We’ll sign up for IZ, but only if you give us additional density to compensate’ is their response. In other words, if you want affordable housing, you are going to have to provide more value uplift to pay for it. The key issues are therefore how much value is created, how much should be fairly shared between public and private stakeholders, and whether affordable housing should be included in the calculation. Taking the last issue first, in fact, there’s a very good and longstanding case for affordable housing to be seen as a key economic infrastructure. As such, it should be treated in the same way as the other infrastructure that benefit from value sharing mechanisms. The housing market, however well it might work for the majority, does not work at all well for those on lower incomes who struggle to get into either affordable or appropriate housing. The 60-odd thousand on the NSW public housing waiting lists are just a small part of this demand. The growing sector of the working poor – the ‘precariat’ – on low, insecure, part-time and essentially limited incomes, are now a structural feature of the workforce. They also need decent homes in the right places at an affordable price. Yet our housing industry completely ignores these people, being more inclined to target investors. But the private rental market imposes unacceptably unaffordable rents for low income workers regardless of where they live in the city. Displacing the working poor to the outer suburbs to the cheapest housing simply leads to sub-optimum labour market outcomes and indeed may create areas of low productivity that act as a drag on overall growth. Affordable housing should be considered as essential infrastructure for a modern, well-functioning and productive city. Value sharing should play its role in helping to pay for this much needed infrastructure. Sydney is not the only place where these kinds of issues have come to the fore. London provides a more advanced example of how this has played out in practice – and in policy. Faced with a similar investor fuelled ‘dash to density’ across that city, and spurred on by a growing community backlash against the practices of developers to effectively get out of providing the affordable housing required under the London Plan, the new London Mayor, Sadiq Khan, has drawn up an Affordable Homes Program. This proposes that all new developments need to show how they achieve 35% “genuinely affordable” homes without subsidy – i.e. derived entirely through a value sharing arrangement. If they do, they get a speedy decision. If not, then a team of valuation experts will tease over the developers’ feasibility assessments to see if they really can’t afford to provide the required amount of affordable homes. The chances are if they can’t, the proposal will be rejected. This approach goes to the heart of the value sharing argument. The debate should be about the price developers’ pay for the land they want to build on and how much of the resulting uplift is deemed ‘reasonable’ profit, not about demanding more density. Once enacted, IZ will act to force land prices down to provide the feasibility leeway needed for the affordable homes. Moreover, developers should be required to expose their feasibilities to public scrutiny if they want to obtain planning approval to ensure there is a transparent understanding of just how much value is being delivered through the permission to develop. This would inform any ensuing negotiation as to what proportion should reasonably be shared for affordable housing. Such an approach needs to be incorporated in the revised District Plans to allow a fair proportion of the value generated through the granting of development approval to be retained for essential public infrastructure provision, of which affordable housing is a key component. Capturing some of the value created through mandatory IZ provisions for affordable housing is therefore both justifiable and feasible. While we can all agree that value sharing is not a “magic pudding”, it is nevertheless a rich pudding that needs more equitable distribution.